Ok, I didn’t invent the universe, but when you make yourself oatmeal that taste like fresh baked apple pie, you get pretty excited! Now that the temperatures are starting to cool off, it’s time to pack away the summer clothes and dig out the warmer gear. Yes, I too was hoping that the warmer weather would stick around longer, but this is Wisconsin and we know what is coming. I honestly don’t mind the snow, it’s the freezing temperatures that generally accompany it. 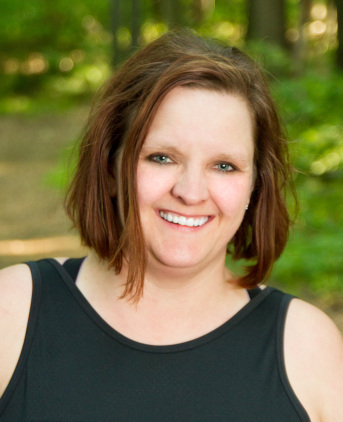 I mean, really… -20 degree temps is not my idea of fun, especially when I want to go for a run outside! Part of the cooling temperatures, we will find ourselves craving foods that help us feel warmer. How many times during the summer do you crave a big bowl of steaming hot soup? Probably not often. Most people crave the lighter foods, fruits, salads etc during the summer. But as the temperatures cool, our bodies crave to feel warmer. I find my self going back to eating a hot breakfast more often in the winter and that is where this oatmeal is going to fill a huge part! 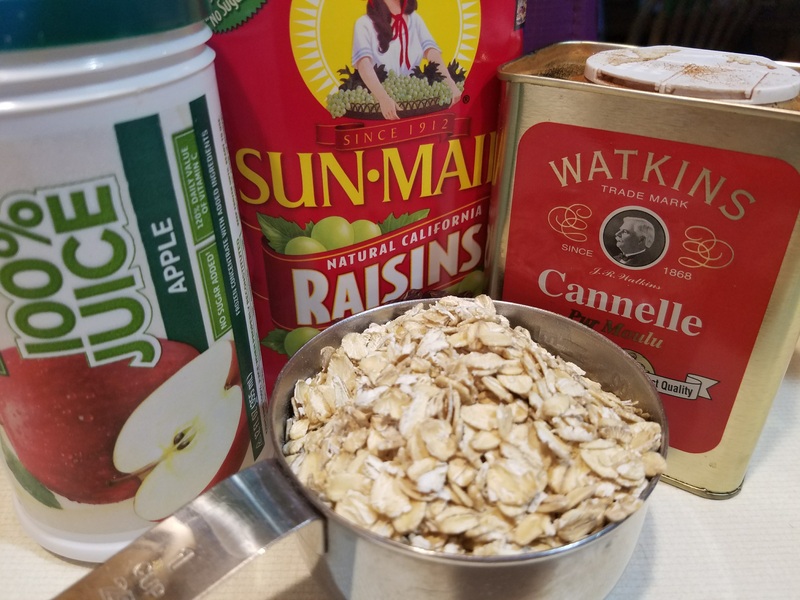 When I started making my breakfast this morning, I was going to go with my usual stand by of apple raisin (hence why there are raisins in the blow photo) but then I decided that I was trying something new! I took the base recipe that I found a few weeks ago and made a few adjustments! I was skipping the raisins and going for the apple pie flavor that we all love! No, I have nothing against raisins (or craisins for that matter) but today it was all about the apples! Thankfully we still had a few of the apples left that we got from a good friend a a week or so ago! (Thanks Linda!) I was in business! 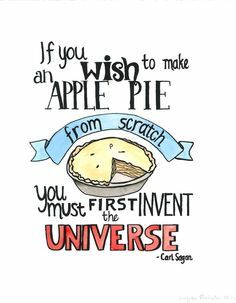 What could be better than Apple Pie for breakfast? Combine everything except apples in pot. Heat until boiling. Reduce heat to Medium and cook for about 3 minutes. 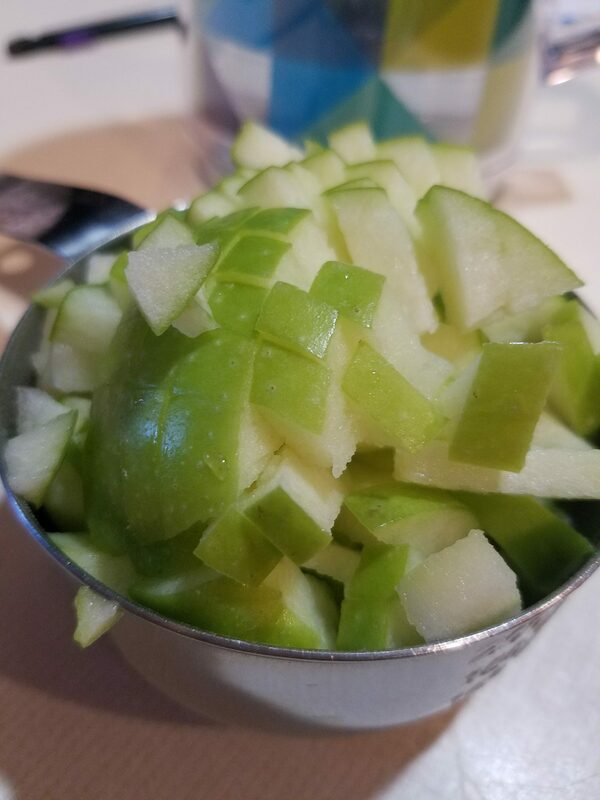 Remove from heat and stir in apples. Let sit for a few minutes and enjoy! My choice of oats to Bob’s Red Mill Gluten Free oats, but any brand will work, just as long as they are not the Quick variety. Quick oats do not require as much cooking time, so while in theory they CAN but used, you will need to adjust the cooking time accordingly. 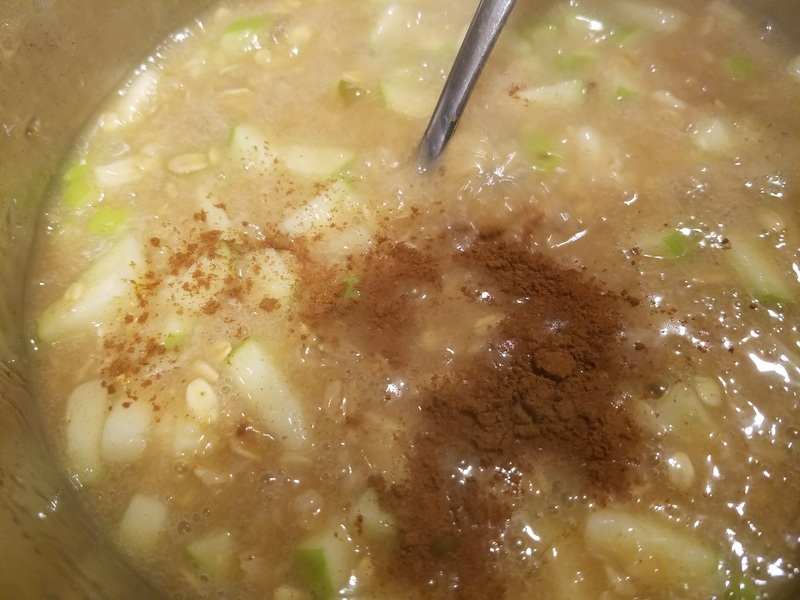 Once I added the apples, I did decide to add a little more cinnamon, but that is your call! Paired with a fresh brewed cup of coffee, breakfast was happening! 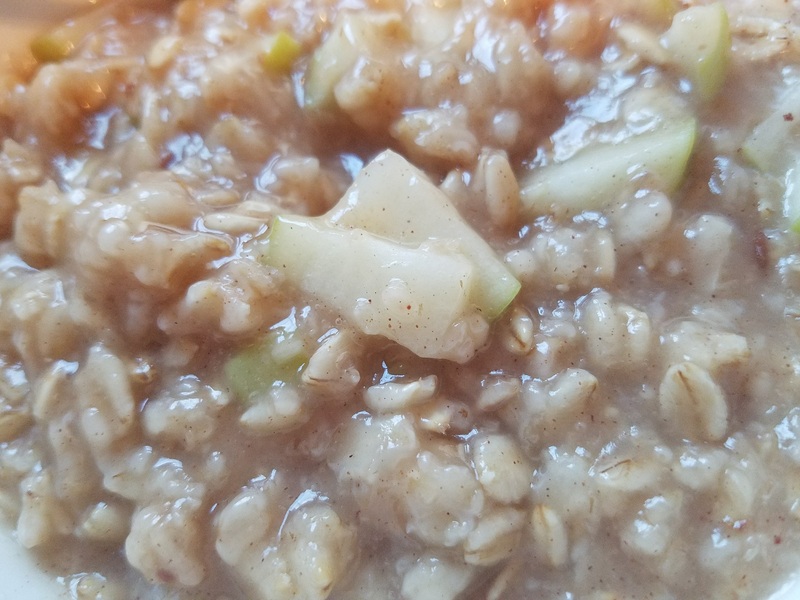 What are some of your favorite oatmeal flavor combinations? Better yet, what other pics can we turn into steaming bowls of oatmeal? Thinking next week, it might be Pumpkin or Cherry! Other ideas? Let me know! I’ll give them a try! Help keep the Hamster busy in the kitchen! ⟵22 Veterans too many take their life each and every day. We need to do what we can to lower this number!